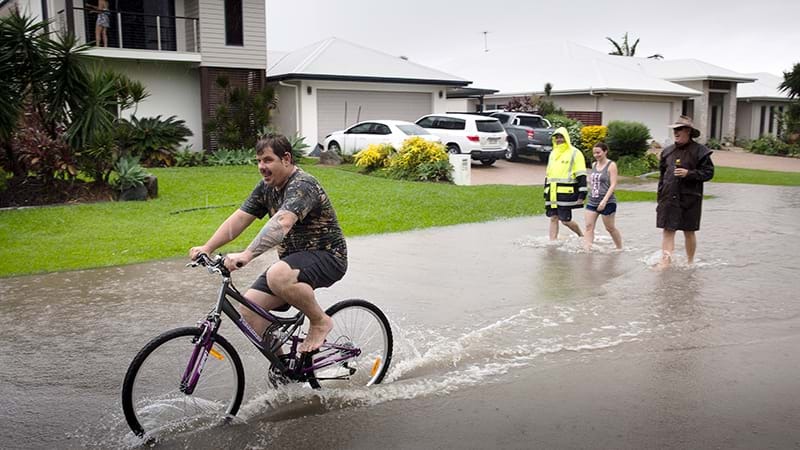 Unprecedented water releases from the city's swollen dam have sent torrents of water down the Ross River and into the city, swamping roads, yards and homes. Crocodiles have been spotted in suburban streets, and the water is teeming with snakes. It's unclear how many more homes may have been inundated. On Sunday the figure was between 400 and 500. But that was before dam releases doubled to their maximum level in anticipation of more rain, sending almost 2000 cubic metres of water per second charging out of the Ross River Dam. Authorities have warned between 10,000 and 20,000 homes could be at risk. With days of more rain ahead, the crisis is far from over and the premier says forecasters are closely watching the monsoon trough amid fears it could form into a cyclone if it moves off the coast. "This system, if it moves out to the sea, it could develop into a cyclone," she told Seven Network on Monday. "These are early days and we won't know for certain until the next few days." 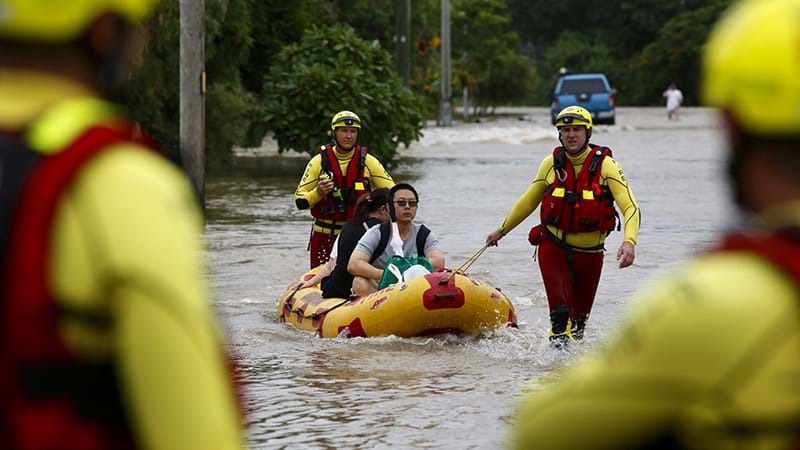 Queensland Fire and Rescue Services received 850 calls for flood assistance in the past 24 hours, most in Townsville. The premier said about 200 callers were still waiting for help on Monday morning. About 1000 people have headed to evacuation centres, with one of five centres now full. The council will decide on Monday if more centres need to be opened. 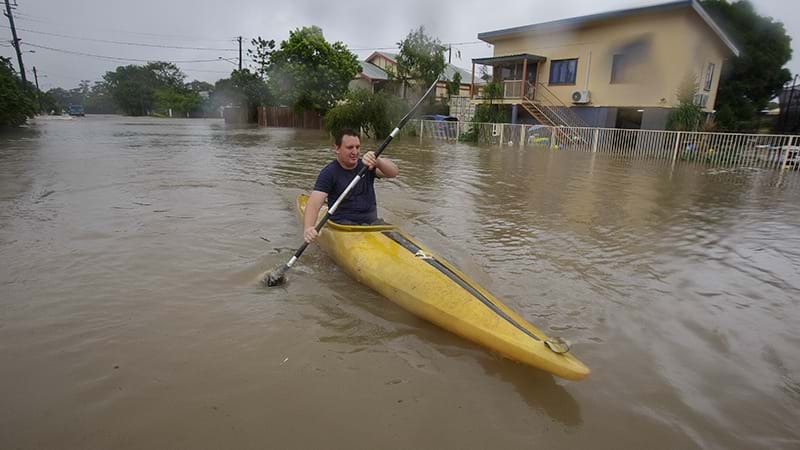 Schools in Townsville remained closed on Monday along with the city's airport. The monsoon trough that's been dumping flooding rain on north Queensland's east coast, and drought-hit parts of western Queensland, will drive the state's emergency for days to come.